Rade Vukota passed away at the age of 85 at Kelowna General Hospital on Thursday, April 5, 2018 with his wife by his side. Survived by his loving wife Ljubica Vukota, daughter Petra Vukota, and family members in Bosnia, Europe and Canada. 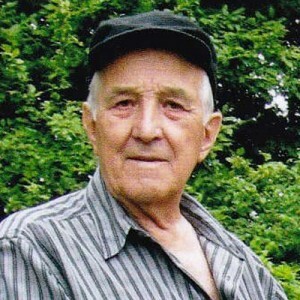 Born in Vojskova, Yugoslavia, Rade immigrated to Canada in 1957 to Winnipeg, MB for a better life. He later worked in Saskatoon, Yellowknife and Ontario before making his way west to Vancouver around 1965 and then settled in Kelowna in 1994 where he retired from a career in Carpentry. Rade was trained as a carpenter in Yugoslavia and enjoyed building houses and even worked on the Skytrain line in Vancouver. Even though he was retired, he could always be found working in his garage or working outside on a project. Rade lived a full life and loved the outdoors and being active. He enjoyed fishing, hunting and eating the fresh fruits from his garden. He missed his homeland and contributed positively to the Serbian community in Vancouver and Kelowna. Special thanks to family and friends who have touched his life. In our hearts Rade will always be loved and remembered. A funeral service will be held on Thursday, April 12, 2018 at 10:30 am at 585 Gerstmar Rd, St Ilija Missionary Parish. Interment to follow in Lakeview Memorial Gardens. Reception to follow at St Ilija Missionary Parish. The service for VUKOTA, Rade is scheduled for Thursday, April 12, 2018 at 10:30 am. Below you will find the map for the service location and the contact information should you have any questions.